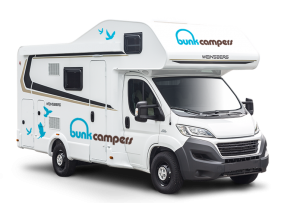 Established in 2007, award winning Bunk Campers has grown to be one of the largest campervan & motorhome hire companies in the UK & Ireland, with a fleet that is 100% company owned. Before we started Bunk Campers, we were career minded thirty-somethings wondering what to do next. Taking time out to travel, we found ourselves exploring Australia and New Zealand in our trusty campervan when the big idea came to us… On returning to Ireland we established Bunk Campers, a modern day budget campervan hire UK & Ireland business with a fleet of vehicles that are bang up to date! 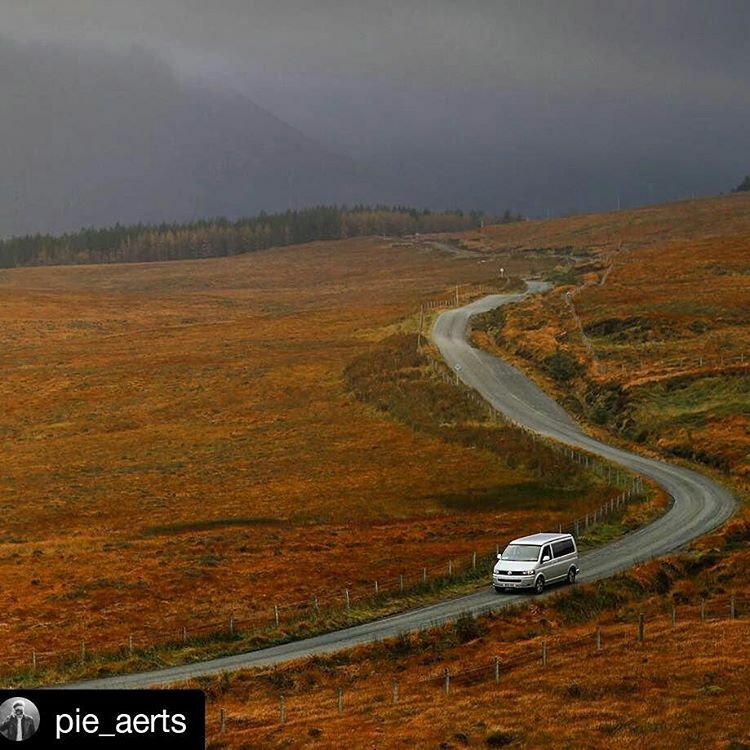 We are the only all Ireland campervan rental company and have recently expanded now offering campervan hire Scotland & England, with depots located close to Dublin, Belfast, Edinburgh, Glasgow & London Gatwick airports. 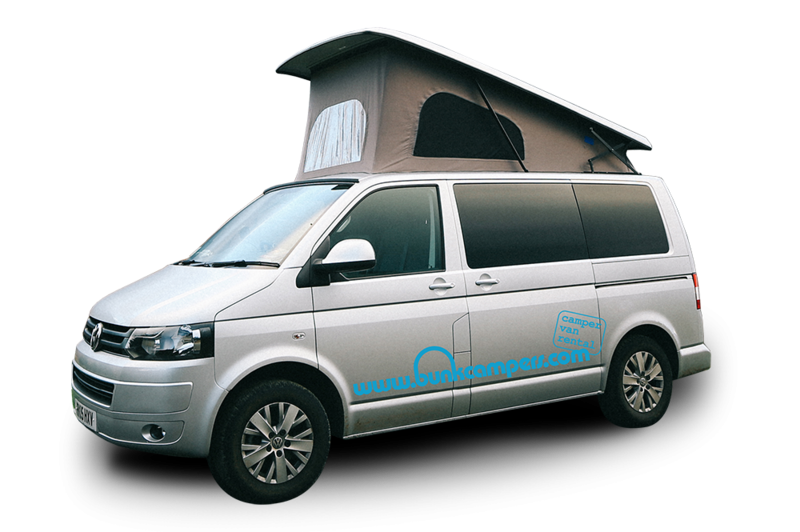 For campervan rental from London, Edinburgh, Belfast and Dublin,this is your one-stop-shop! 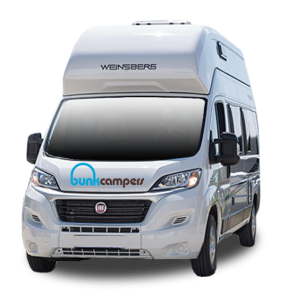 Bunk Campers offer anything from compact and stylish campervans to large apartment style motorhomes – your transport and accommodation in one. We’ve got all the kit you need to get you on the road. 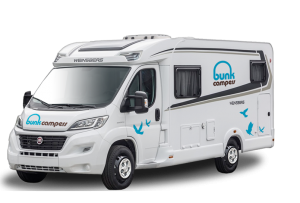 At Bunk Campers, our campervans are converted, fitted and kitted to our own exact specification based on our experiences. We update our fleet of campervans & motorhomes every year and all our vehicles are modern and safe! 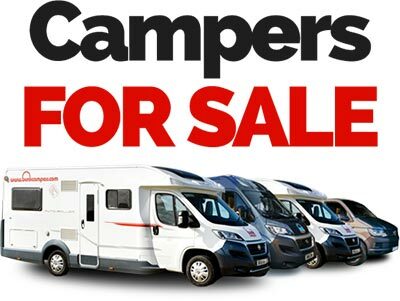 View our campervans to find out more! 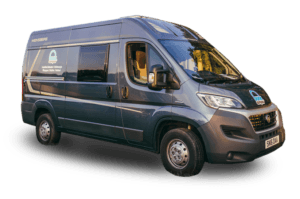 From budget campervan hire to luxury motorhome hire, we have the vehicle type to suit your trip. We have 9 vehicle types for you. 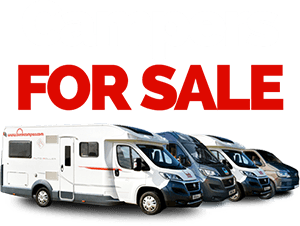 Choose from our range of compact 2 person camping cars and campervans, 4 person family touring campervans and large 4-6 person motorhomes. The 2 person Roadie camping car is unique to Bunk Campers. Make your travel budget go miles further! All our vehicles are less than 2 years old. We don’t rent old bangers! 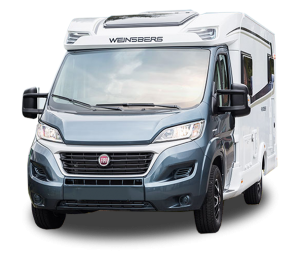 The modernity of our fleet means that we are the only campervan and motorhome rental company in Ireland to offer you the latest fuel efficient EURO 5 ENGINES. 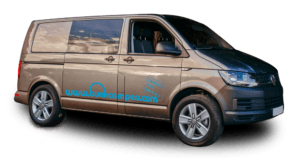 We make booking your campervan hire trip as simple and transparent as possible. The basic rental rates quoted include insurance and local sales tax. 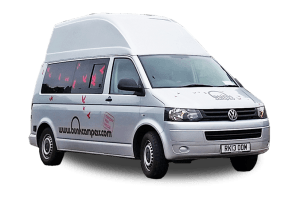 We offer good value for money campervan hire and motorhome rental. We rent out one of the UK and Ireland’s newest fleet of vehicles. 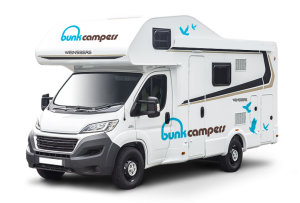 Choose campervan hire in the UK or Ireland with Bunk Campers and you will be renting one of the newest, freshest and fuel efficient campervans or motorhomes on the road across the UK and Ireland.